The Christmas edition of Celebrity box is scheduled at the end of November – the very beginning of December, so there is no much time left to join the project. 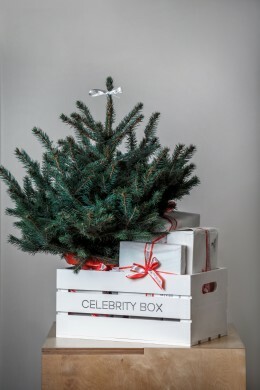 Celebrity box is a unique project that provides your product or service an opportunity to get into the center of Latvian celebrities’ attention, increase its visibility and an interest of social network users to your brand. This is an excellent communication channel that provides selected public with not only information, but also the product itself, an opportunity to test it. In addition, you don’t have to worry about the management, as far as we take care of the carefully prepared list of recipients, design and delivery of boxes, as well as communication about your product in social media and report after the project is finished. Celebrity box has more than two years of experience, is registered as a trademark and got a prestigious international communication award. Since the start of the project it has involved more than 20 different brands.